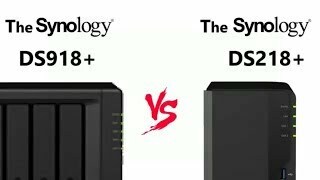 If you buy this Synology DiskStation NAS and hard drives we do free build and test for the unit and hard drives. So you can use this device straight out of the box. All free of charge in DS218+ (6GB) price. The most worthwhile of the 218 Synology range. The J is too basic, the play is mainly for media and the 218 by itself is a little bland. This one on the other hand ticks boxes for efficiency and expandability. I am very impressed with this little NAS! With its 4K transcoding, reactive CPU, it's a great little multi-fuction home storage solution for us. It handles all of our photos and videos beautifully and has a very quick response time.